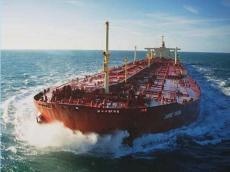 Saudi Arabia resumed oil exports via Bab al-Mandab Strait, which were briefly halted after an attack on a Saudi tanker, the country's minister of energy, Khalid Falih, said on Saturday, Sputnik reported. "The decision to resume oil shipment through the strait of Bab-El-Mandab was made after the leadership of the Coalition has taken necessary measures to protect the Coalition States' ships," the minister said, as quoted by the Saudi Press Agency. According to the minister, the decision came into effect earlier on Saturday.